The Austrian Mint starts a new series of four coins that review the history of manned flight, from the first intrepid pioneers to the heavens full of people today, Reaching for Heaven (name of the series), It makes four stops in the most important stages of the history of air travel. The series takes off with the piece The Dream of the Flight, which illustrates how the fantasy of flying became a reality. Since time immemorial, humans have dreamed of flying like a bird. In Greek mythology, Icarus used his famous wings made of feathers and wax, but he flew too close to the sun. At the end of the 18th century in France, the Montgolfier brothers invented the globe. Although originally they believed that it was the smoke and not the hot air that brought the contraption up, in 1783 they had managed to make the first flight with living beings, in this case a sheep, a duck and a rooster, in the presence of King Louis XVI. 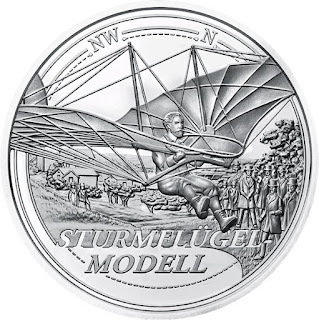 From the France of the Enlightenment, we made rapid progress to the Prussian and Otto Lilienthal bird-shaped gliders of the late 19th century, one of which appears on the reverse side of the coin, while a collage representing Icarus, with one of the winged buildings of Leonard da Vinci, and the famous one of the Montgolfier brothers. The globe is represented on its obverse. Known as the 'flying man', Lilienthal was the first person to make successful flights using gliders. In 1893, he flew a distance of 250 meters, a record that remained unbeaten until the time of his death in a glider accident in August 1896. A true pioneer, Lilienthal positively influenced the opinion on the practicality of flying machines. 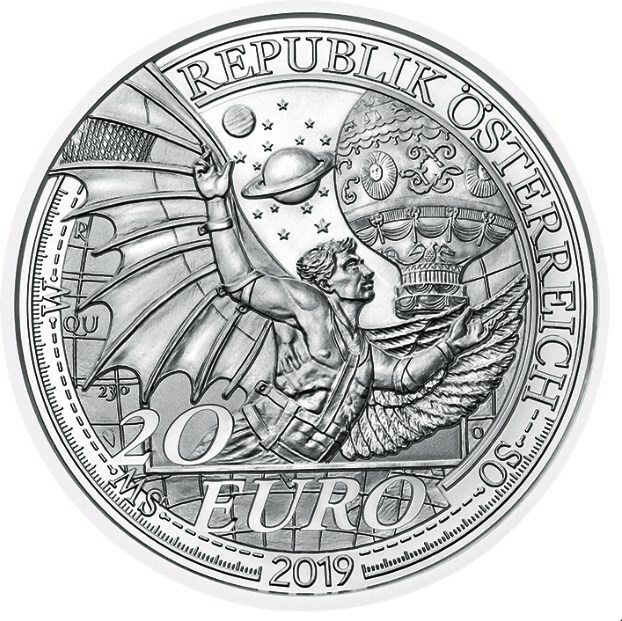 The series consists of four coins, with an emission volume of 30,000 pieces of each, of which two are issued in 2019 and two others in 2020.